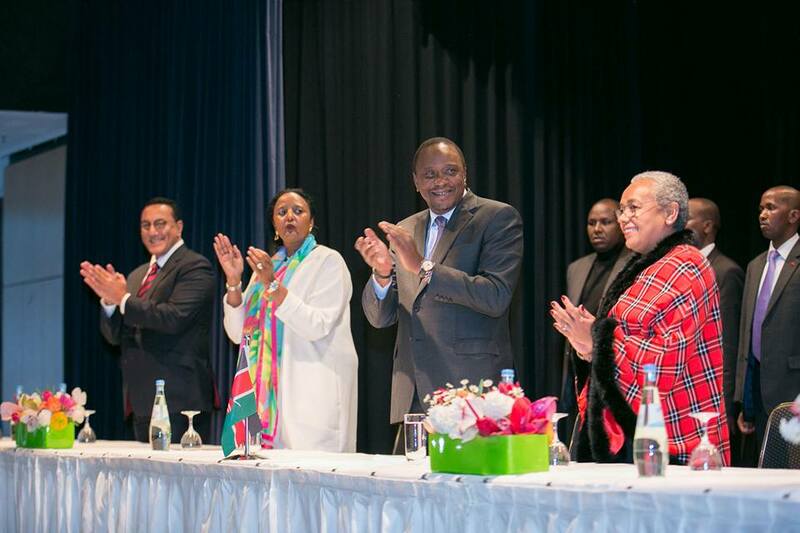 After the fanfare and all the excitement, the visit has come to an end, but what did this meeting mean to Kenyans in Kenya and here in Germany? As promised trade was one of the key pillars of this trip and the president made it the core of all his interactions while in Germany. 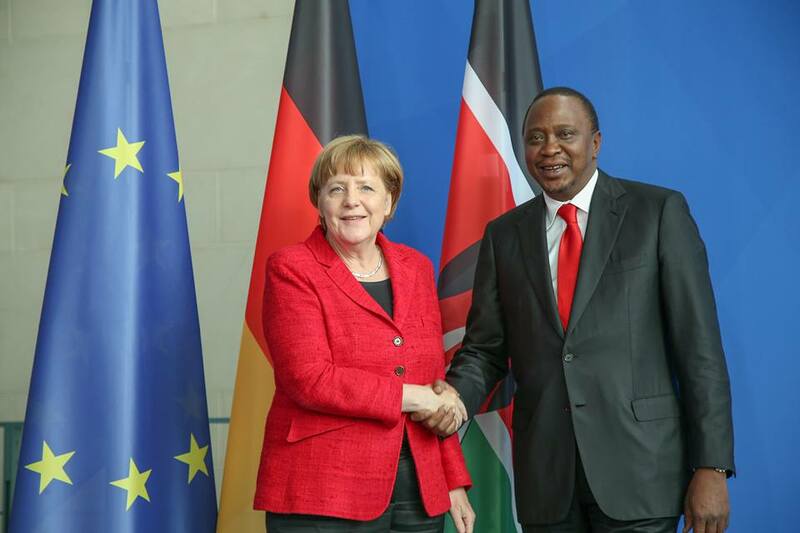 “Kenya has numerous investment opportunities and is open to international investors.We must increase the volume and value of trade and investment, and also address the trade imbalances currently in favour of Germany, for the long-term benefit of both countries.”, the President said during a press conference after meeting Angela Merkel. 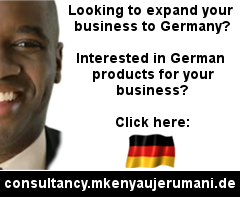 The president encouraged both Germans and diasporans to invest in the numerous sectors. 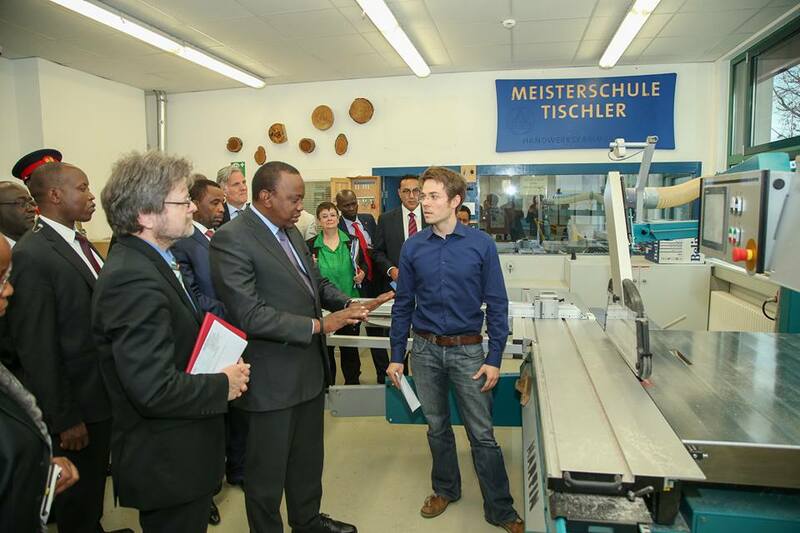 In light of the current debate on changing our current 8-4-4 System, the president and his delegation got to visit a vocational institution, a Meisterschule, in Berlin where they were taken through what the “German Ausbildung System” is and how it works. 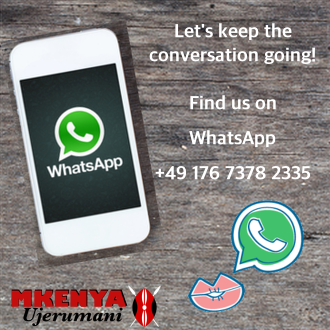 Kenya is grappling with a large number of unemployed youth, many of whom remain unemployable due to lack of skills. 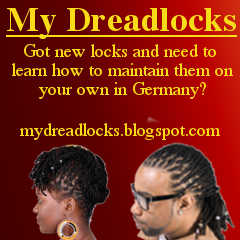 Many of these young people fail to continue with their education after failing at one stage e.g. Primary school and lacking a place in the secondary schools. “A child who fails to go to secondary school when they are just 13 years old is condemned to a difficult future. We have to find a solution to these matters”, the President said. The President will send a delegation to Germany to closely study the model and examine its transferability and sustainability in the Kenyan environment, the President said. On security, the president maintained the need for close cooperation globally. There was also a request for the international community to support AMISOM. The president’s visit coincided with the “No case to answer” verdict on Ruto and Arap Sang’s cases at the ICC. 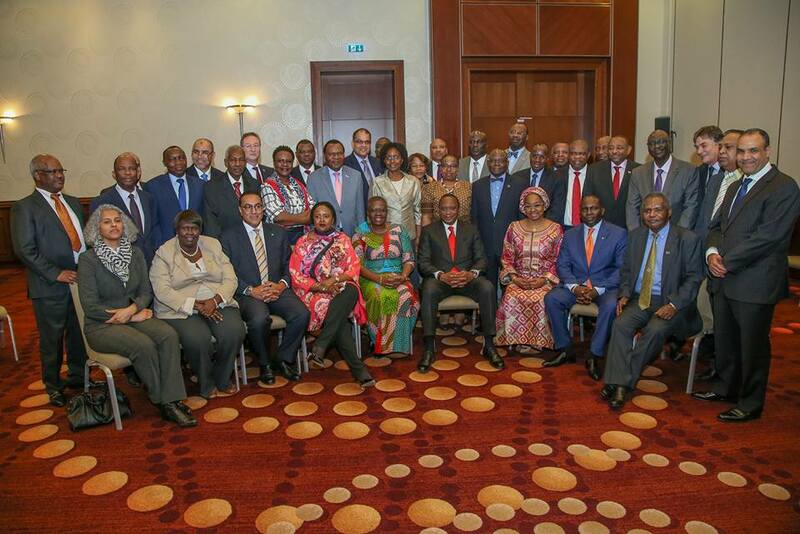 The President used his meeting with the African Ambassadors in Berlin to pass his thanks to the African countries for their support. He mentioned these two topics in passing during the meeting with the diaspora on Thursday evening. He mentioned that the IEBC and the National Treasury were in talks on whether the budget would allow for the diaspora to vote. Kenyans at home and in the diaspora had equal rights to register as voters and participate in choosing their future leaders and this would be adhered to, he told the audience. “The Government will find cash to finance registration of all eligible Kenyans as voters – at home and abroad – ahead of next year’s general elections, the President told Kenyans in Berlin on Thursday night. President Kenyatta allayed fears that the elections will be manipulated in any way, assuring Kenyans and the international community that the poll will be free and credible. “What Kenyans want is a free and fair electoral process and that’s what we are working to achieve”, President Kenyatta said.